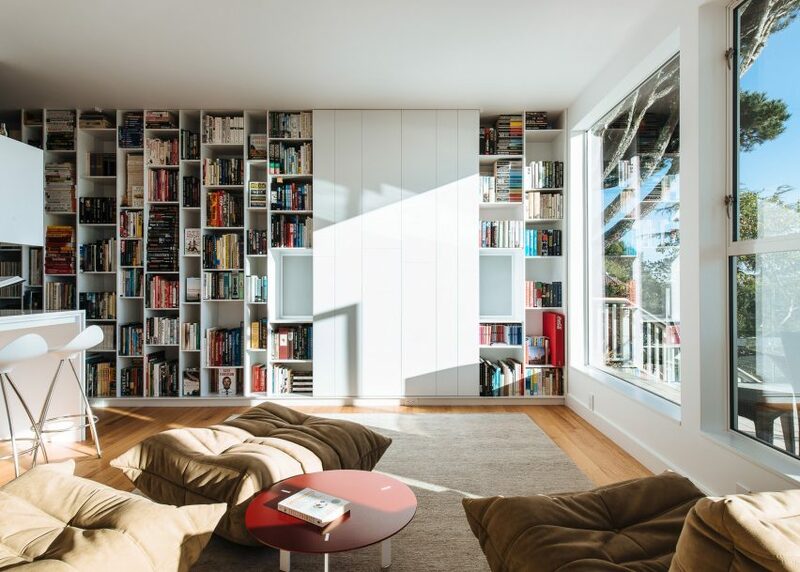 American studio Feldman Architecture has overhauled parts of a hillside home in the town of Sausalito for a retired couple with an extensive collection of albums, books and soda bottles. The project, Sausalito Outlook, takes its name from the Bay Area town where it is located. The project entailed renovating part of a 1970s home so that it suited the “eclectic tastes” of a couple relocating to the US from Asia. 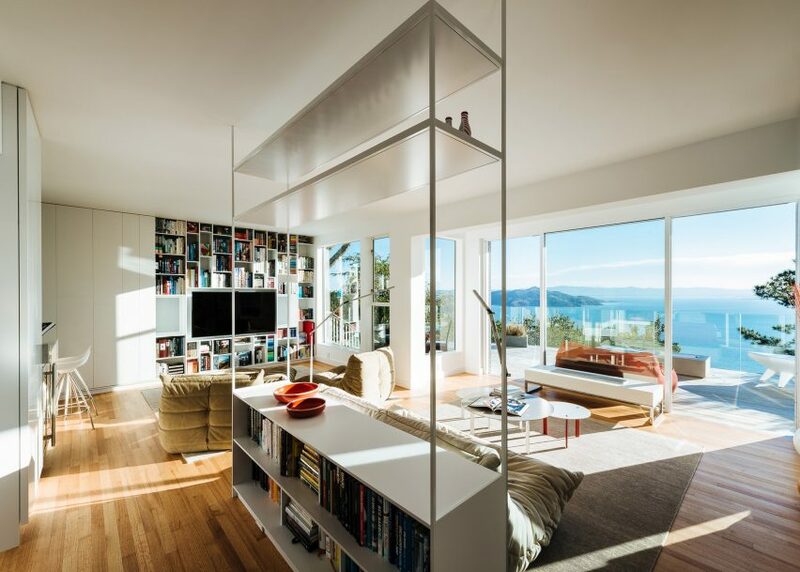 “It was on a quick stopover going from Hong Kong to South America that this newly retired couple decided on a whim to lay roots in Sausalito, California, after a decades-long residence in Taiwan,” said Feldman Architecture, a studio based in nearby San Francisco. 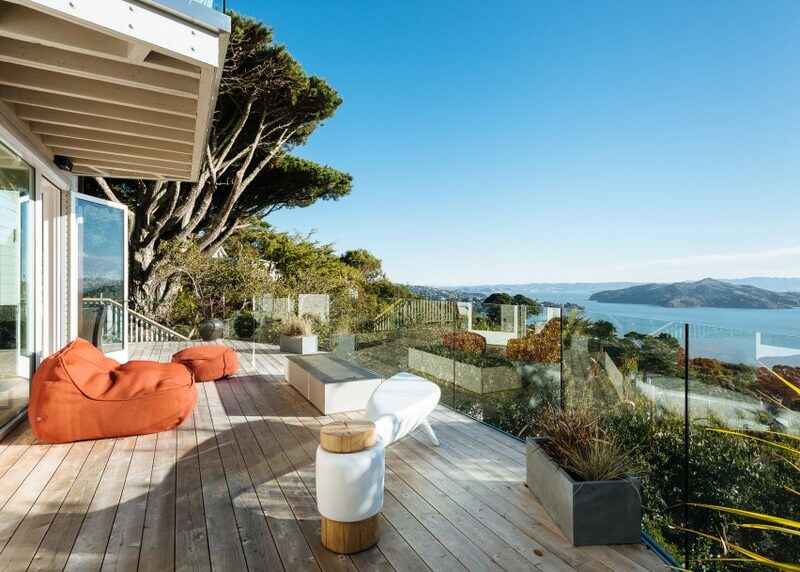 While the four-storey home offered panoramic views of San Francisco Bay, it “lacked the unique charm and character” that the clients desired. 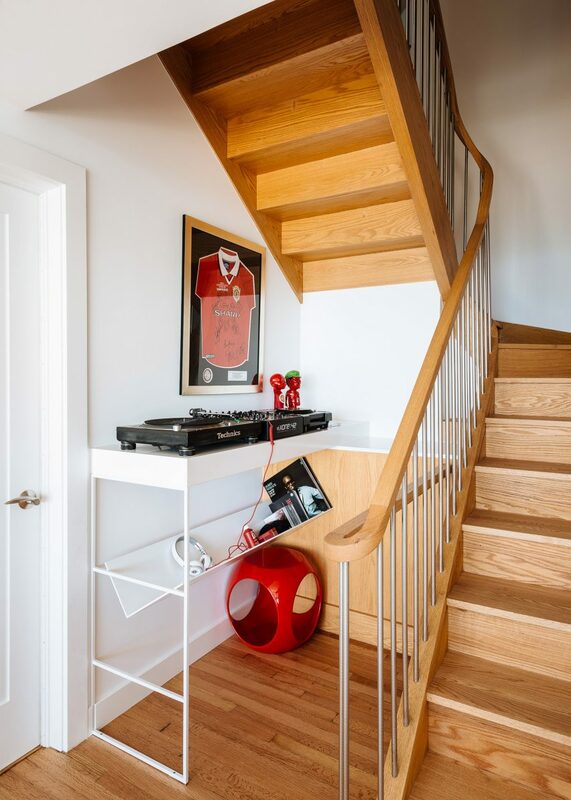 The architects were charged with creating a space that could accommodate a collection of vinyl records, design books and vintage Coca-Cola bottles, while also capitalising on the picturesque scenery just outside the window. The home is embedded in a hillside, with the entrance located on the top floor. The major modifications were made on the second storey. 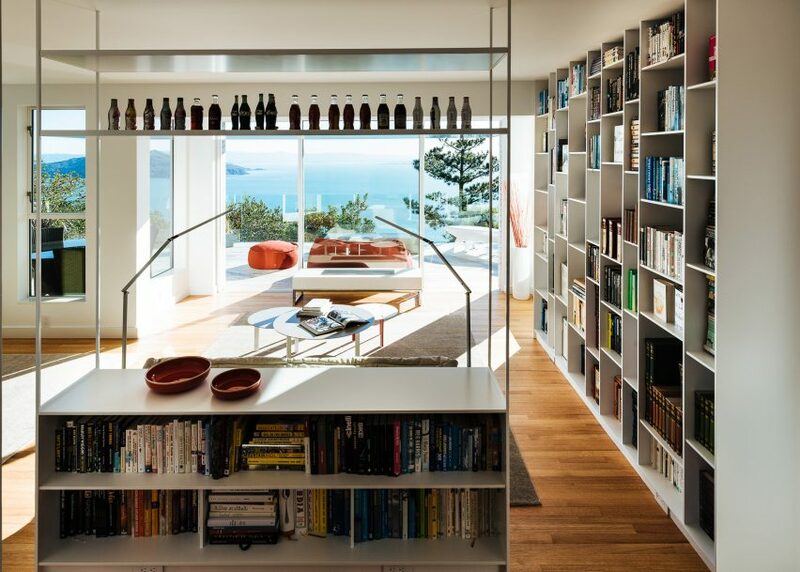 A spare bedroom was removed and replaced with an open-plan library and sitting room. 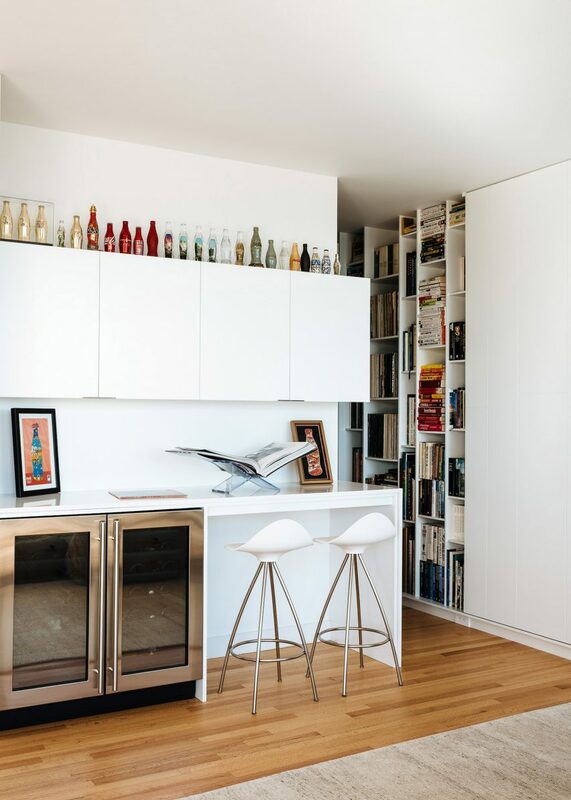 The refurbished space is defined by floor-to-ceiling shelving, with asymmetrical compartments that house objects of different sizes. Sliding white panels can conceal elements as needed. 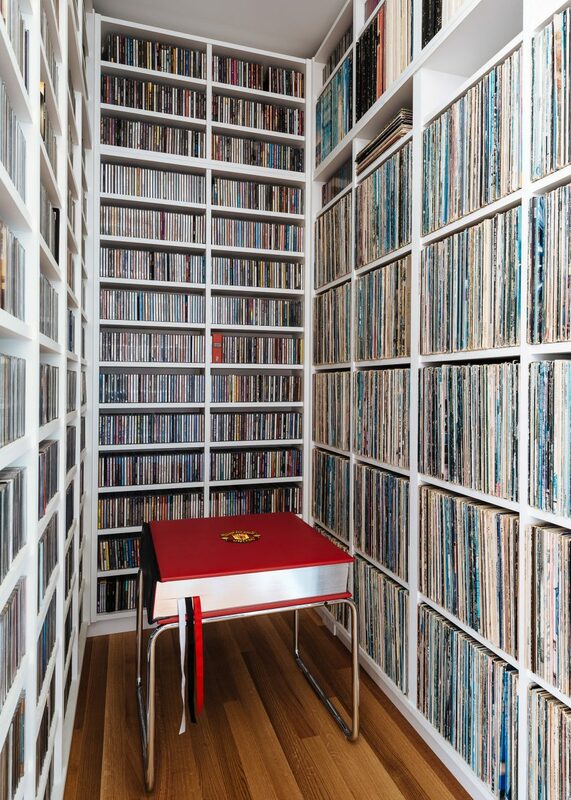 Tucked in one corner of the room is a nook dedicated to music storage, along with a small bar with a fridge. The room features wooden flooring, tan rugs and bean-bag style chairs. Vast expanses of glass provide sweeping views of the bay, while sliding doors open onto a wooden terrace with glass railings and a fireplace. On the same level, the team also converted a second bedroom into a gym. Up on the top storey, a living room was kept intact. Bordered on both sides by patios, the living room features contemporary decor that is oriented around a picture window offering expansive views of the water. A large floor lamp with a woven shade arches over the room. The team also refurbished a study, adding grey filing cabinets, orange chairs and cycling memorabilia. Operable windows bring in natural light and fresh air. Feldman Architecture’s other projects in its home state of California include a home with butterfly roofs that was constructed in an environmentally sensitive development, and an urban townhouse with a rooftop garden and an indoor swing.